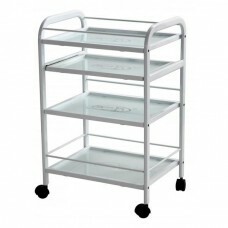 Cosmetic trolley KOS, buy at the price of 64 in Europe. 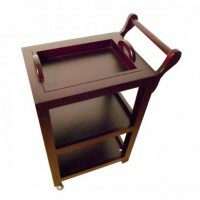 To have constantly on hand all the accessories, you need easy-shelf mobile console on the transport platform. 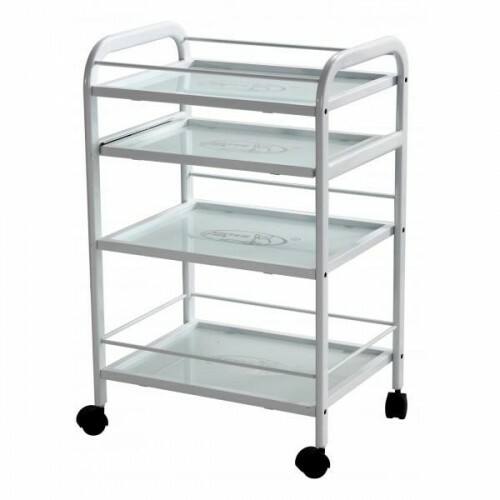 Such console has become a metal, openwork trolley with four shelves for cosmetologist. Everything you need can be placed in different levels of it, without the fear of falling of cosmetic bottles, flasks, because of the boundary of a small ledge. The bottom and top shelves have additional fencing of larger things. 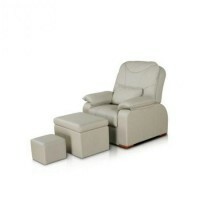 For example, they can accommodate small devices for cosmetic procedures. Moreover, thanks to this you can rapidly move from client to client. Movement of the shelves on wheels also feasible, because the fourth shelf has railing in the form of handles for its entire length. Besides, the metal is not subject to corrosion and it is easy to wash, disinfect with standard mild detergent. Moreover, it is enough to wipe with a wet sponge every day to clean and bring it into an aesthetically acceptable condition.